Basically, Fresnel lenses are magnifying lenses. 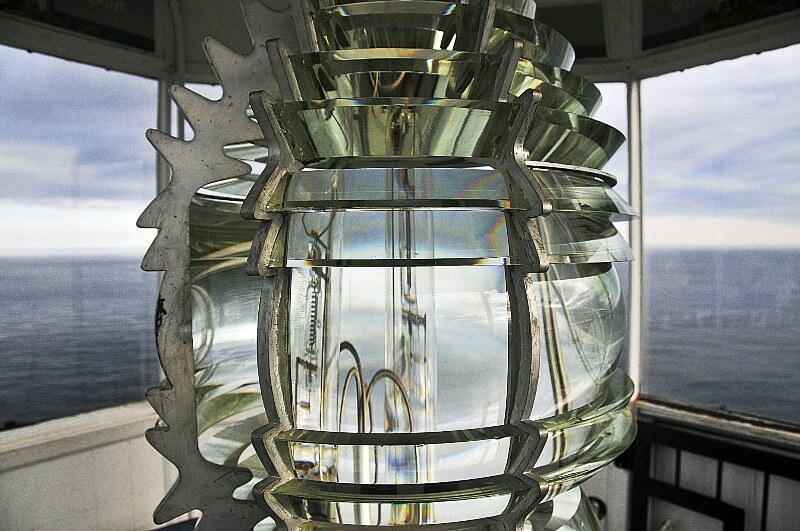 The Fresnel (pronounced frah-nel) lens was originally invented around the early 1800’s by a physicist named Augustin-Jean (aw, you guessed it) Fresnel, as a way to increase the visibility of the light being emitted from a lighthouse. Although much smaller than the previous lenses used, they were still often large and bulky glass contraptions. Modern day Fresnel lenses are much more likely to be made from some kind of plastic. They range from the size of a business card (usually some kind of flexible plastic) to seventy inches diagonally (usually a Lexan base or other high-impact plastic). The modern Fresnel lens is often sold as a device to “enlarge the size of your television screen.” These devices sit in front of a television and the viewer watches the TV through the lens. What we have read in MANY reviews of these products is that these are quite acceptable to help people with macular degeneration enjoy some type of television viewing. They have their limitations, though. There is a “sweet spot” to these lenses, and the viewer must be lined up “just so” with the tv to enjoy the use of this device. The primary complaint by most users is that the edges of the picture look “weird” – like something out of a science fiction special effect – in other words, lots of distortion. Click on the YouTube link below to see a demonstration of the Fresnel lens. One of our favorites, Dan Rojas from GREENPOWERSCIENCE. Make sure to check back with us as we will be discussing some of the cool things you can do with Fresnel lens.